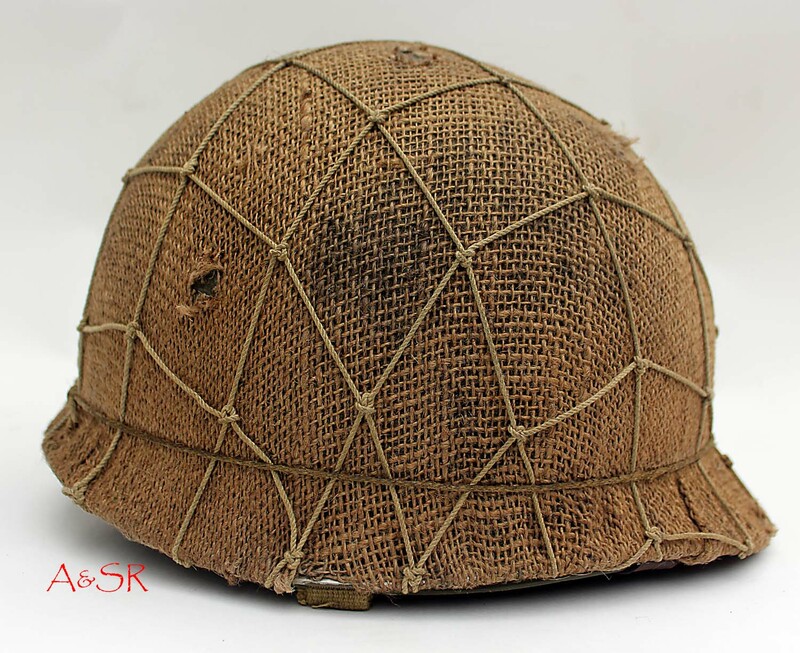 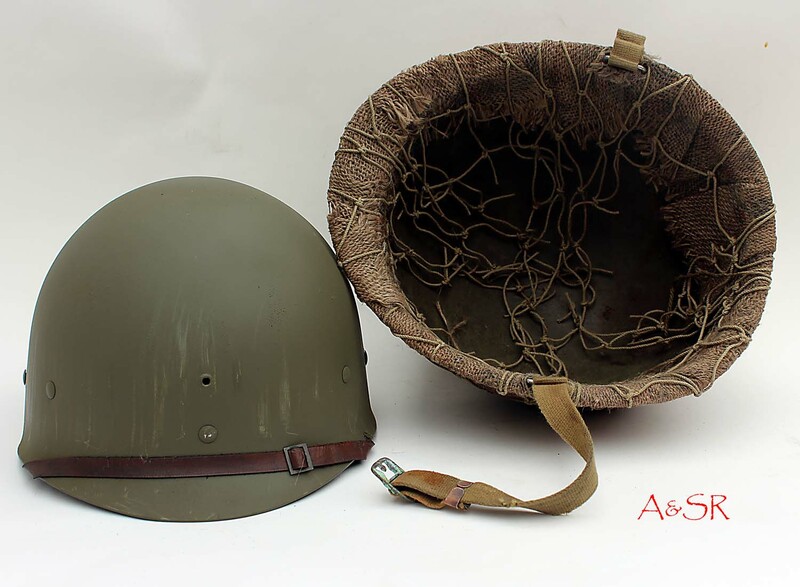 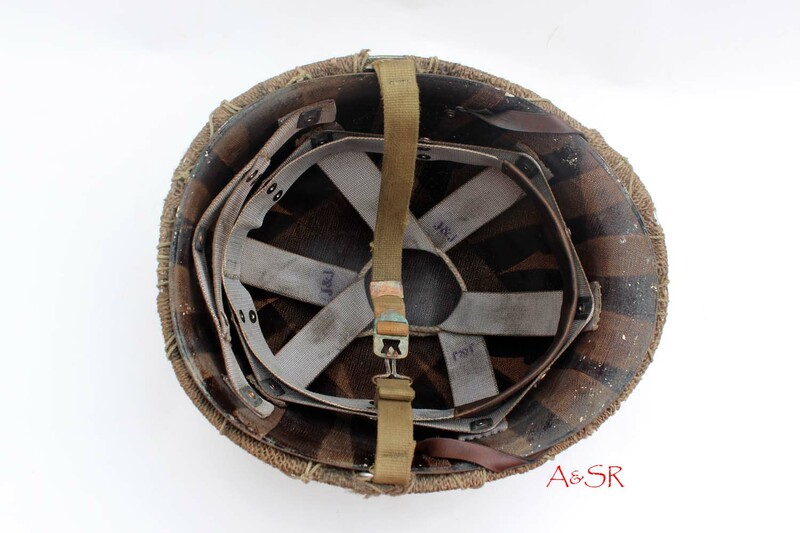 This M1 helmet has been restored to look like it might have been worn by a member of the Marine Raiders, or perhaps the 32nd ID during the Pacific Campaign. 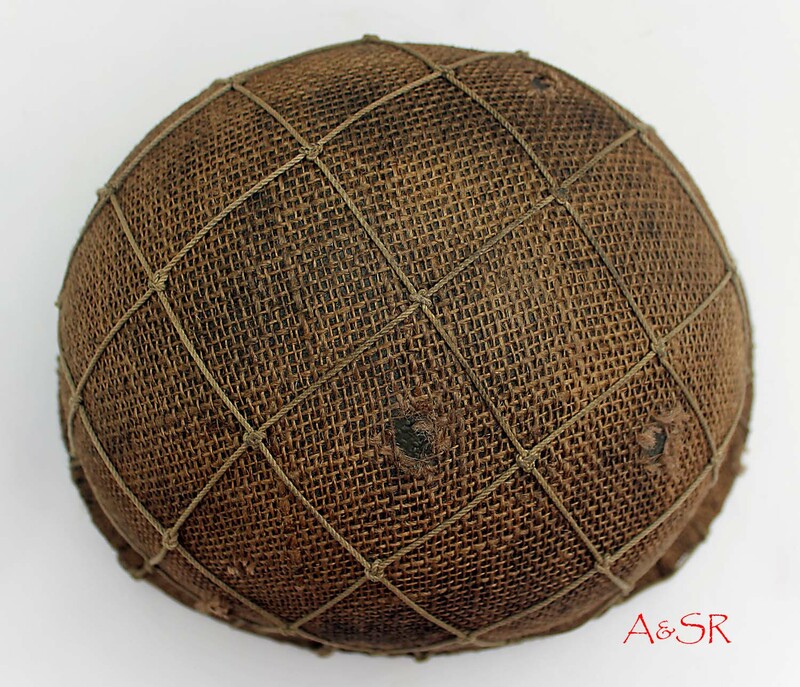 Burlap covers like this. 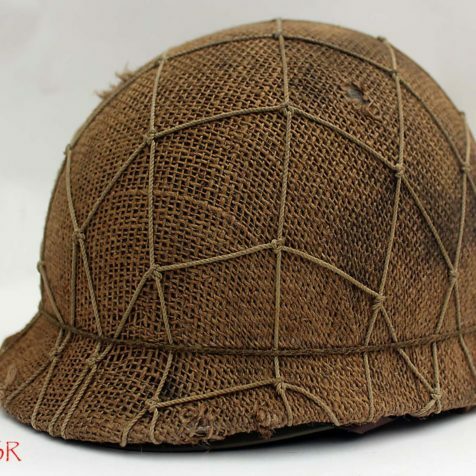 were commonly used in the early stages of the Pacific War.